The first Point Village Comic Book Festival is taking place tomorrow at the newly-opened Point Village Market in Dublin, from 11am – 5pm. There will be loads of people representing small press comics from all over Ireland, as well as workshops about comic books mostly geared at the under-18s. Rob Curley, Stephen Daly and I will be at the Atomic Diner stand, representing Róisín Dubh, so feel free to drop by and say hello to the three of us. 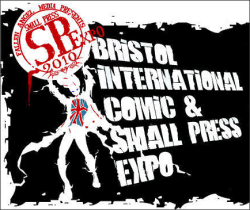 This weekend the Bristol International Comic & Small Press Expo is taking place – the annual comic book Mecca in the UK. Both Rob Curley and Stephen Daly will be attending, promoting Róisín Dubh and handing out preview issues of the comic book. If any of you are going to the Expo, make sure to drop by the Atomic Diner stand and say hello to both of them. Fingers crossed that the Icelandic ash cloud of doom decides to fume away from Ireland and the UK for the next few days! 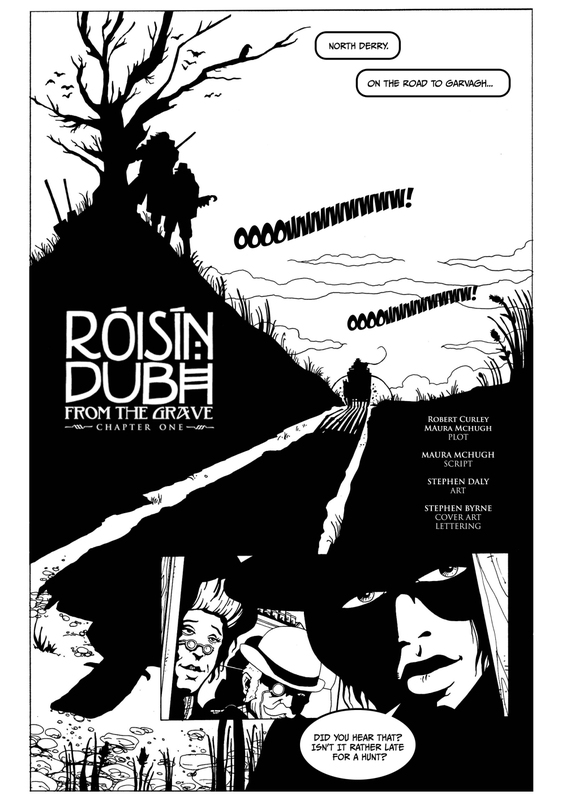 Finally, a big thank you to screenwriter/author/comic book writer Paul Cornell for plugging Róisín Dubh on his blog last week. His kind words had us all ablush. 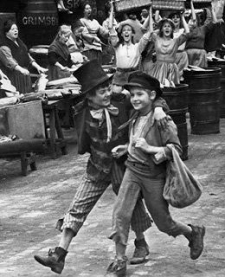 Forgive me if I sound like a Dickens character, but cor blimey mates, the strength of the response to our call for fans on the Róisín Dubh Facebook page has knocked the team for six. We now have over 430 fans of the comic on Facebook. We’ll do our best to live up to your vote of confidence. 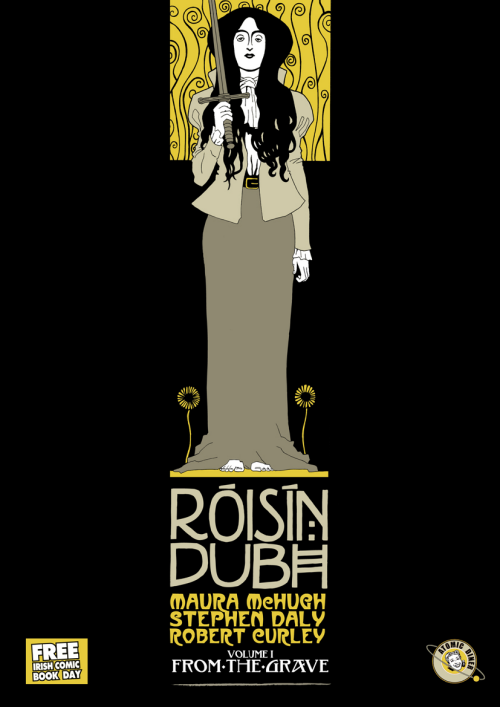 Rob and I have been in a flurry of discussions about how to get the preview copies of Róisín Dubh to me in time for World Horror Convention. It looks like Rob will get delivery of the copies tomorrow in Dublin, but alas I’m leaving early the following day to catch a flight from Shannon airport to Gatwick. I’ll travel onward from there to Brighton. We’re hoping the postal service will save the day! At least it’s more likely I’ll have copies to show people at the convention. Brighton should be an inspiring location for me since much of its architectural character was established in the 19th century, as seen in buildings such as The Royal Pavilion, The Royal Albion Hotel (where the convention is taking place) and The Brighton Pier. And since language interests me – and perhaps you might like to know – ‘strewth’ is a shortened version of ‘God’s Truth’, and ‘cor blimey’ comes from ‘God blind me’.